Faculty members and alumni are collaborating on dances this year to celebrate the 50th anniversary of the University of Illinois dance department. 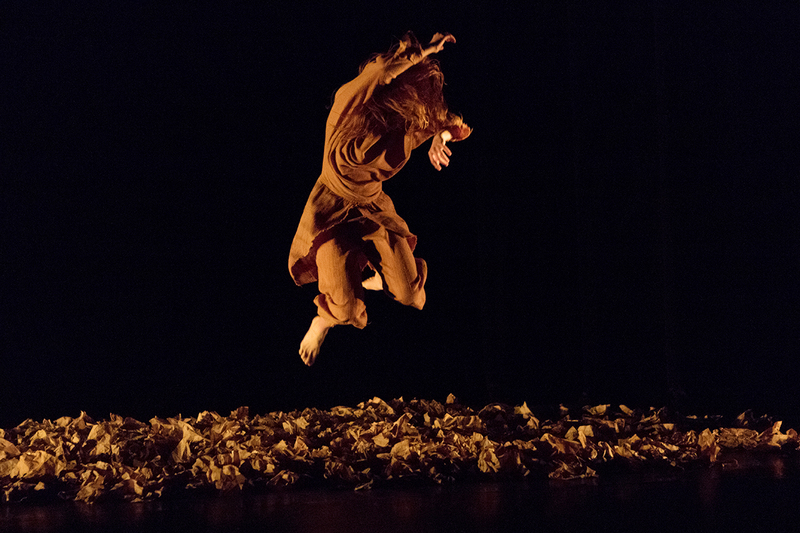 The first performances are for November Dance, Nov. 8-10 at Krannert Center for the Performing Arts. The dance concert will include a piece by dance department head Jan Erkert titled “Antigamente” that she choreographed 30 years ago and reconstructed for November Dance. CHAMPAIGN, Ill. — Faculty members and alumni of the University of Illinois dance department are working together on dances to be performed throughout the year to celebrate the department’s 50th anniversary. The performances will begin this week at November Dance at 7:30 p.m. Nov. 8-10 at Krannert Center for the Performing Arts. “Dancing 50: Moving Forward/Looking Back” is a yearlong celebration of the 50th anniversary of dance becoming an autonomous department, after getting its start in 1949 with a dance specialization within physical education. November Dance is the first of three dance concerts in which faculty members will work with alumni to either co-choreograph a work or have an alumnus come back to perform in the work with students. “It’s really been sweet to see the interactions between alums and students. There’s been this exchange in connecting alums to the program and to the students here, and connecting students to professionals in the field,” said Jan Erkert, the head of the dance department. Renee Wadleigh, a professor emeritus of dance, created her 50th work for Illinois dance students. She co-choreographed “Tragedy, Ecstasy, Doom” with 2014 alumnus Nico Brown, who also will perform with students in the piece. Brown, now living in New York City, created the core movements in his distinctive style, then sent videotapes of himself dancing. Wadleigh arranged the movements for the piece, determining the organization and the pace, with contributions from her students. “It’s this swirling collaboration of movement,” she said. The piece begins with a solo by Brown, then he walks to join two dancers who absorb him into the work and continue when he exits. Wadleigh incorporated walking into the piece, inspired by seeing Brown walking away from and back to the video camera when he made recordings to send to her. “There’s a lot of symmetry and formality to the piece, inspired by the look of the videos – the movement and walking, and things taking their time,” she said. The title of the dance comes from a Mark Rothko quote about his abstract expressionist paintings engaging the emotions of the viewers rather than asking them to consider the work intellectually. “I don’t want people to look for tragedy, ecstasy, doom. I want people to be moved in an emotional way. I want people to enjoy (the dance) and be moved, and not look for a story,” Wadleigh said. She choreographed the piece for Juli Hallihan-Campbell, a two-time alumna of the dance department with whom Erkert worked for 10 years. It premiered at Krannert Center in 1988. For November Dance, Erkert is resetting the dance as a duet rather than a solo. Students have been watching a videotape of Hallihan-Campbell performing the dance, and she’s returning to campus to work with them in rehearsal. Dance professor Rebecca Nettl-Fiol and alumna Melanie Bales have been friends and collaborators for 30 years. Their dance “Picked Up Pieces,” which they co-choreographed, blends threads of work and experiences they’ve shared during that time. Bales taught Illinois dance students during a two-week residency in October. 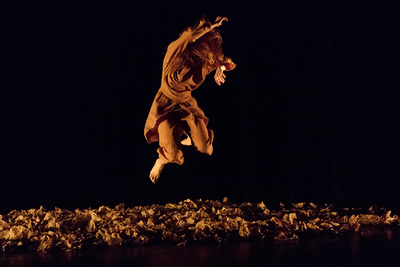 Dance professor Linda Lehovec co-choreographed a work titled “In Conversation” with alumna Paige Cunningham. The two share a background in ballet and modern dance training, as well as similar styles and body types, Erkert said. The piece has many duets that draw on the intersections between their aesthetic training and backgrounds. The faculty members whose work will be seen at November Dance have a long history with the Illinois dance department, Erkert said. Wadleigh, Nettl-Fiol and Lehovec are all alumni of the Illinois dance department, and Erkert was a frequent guest artist in the 1980s. In addition to November Dance, the weekend will include a series of workshops, classes and panels for alumni and students. Displays in the Krannert Center lobby and the Music and Performing Arts Library in the Music Building will showcase photos and artifacts from the department’s history. Editor’s note: More information about November Dance is available online or by emailing Rebecca Ferrell at rferrel@illinois.edu.